AN INTENTIONAL OPPORTUNITY TO COMMEMORATE YOUR BRAND AND ITS MESSAGE, CELEBRATE YOUR NEW AND EXISTING COMMUNITY, AND CREATE OPPORTUNITIES AND CONTENT THAT RESONATES WITH YOUR TARGET AUDIENCE. You can create a “brand holiday” around any topic, industry, or cause. There is always a “national day of” something. For instance, the day I’m writing this is National Battery Day and National Wine Day. And made over 17 billion dollars last year on their “made up” holiday–Singles Day. (click here for article). 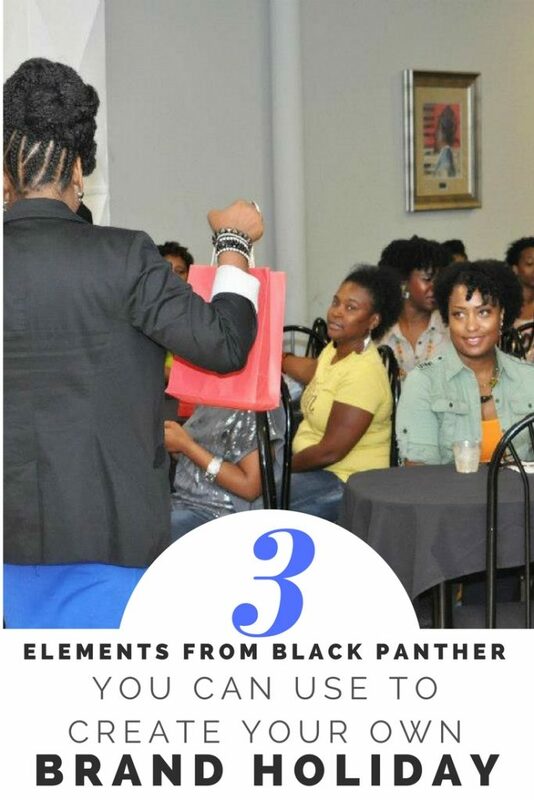 I created a brand holiday in 2012 with International Natural Hair Meetup Day. 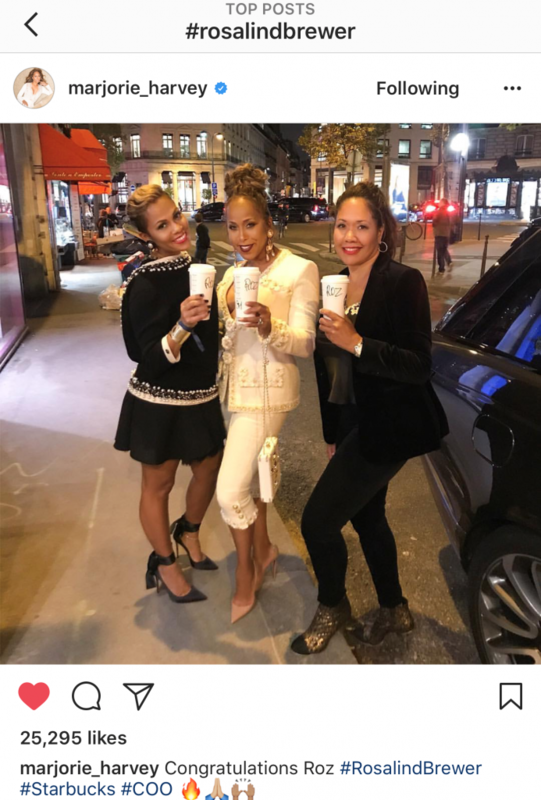 For five years, on one day, brands, small businesses, men, women, and children all over the world participated in live natural hair events in over 40 cities on 5 continents around the world. 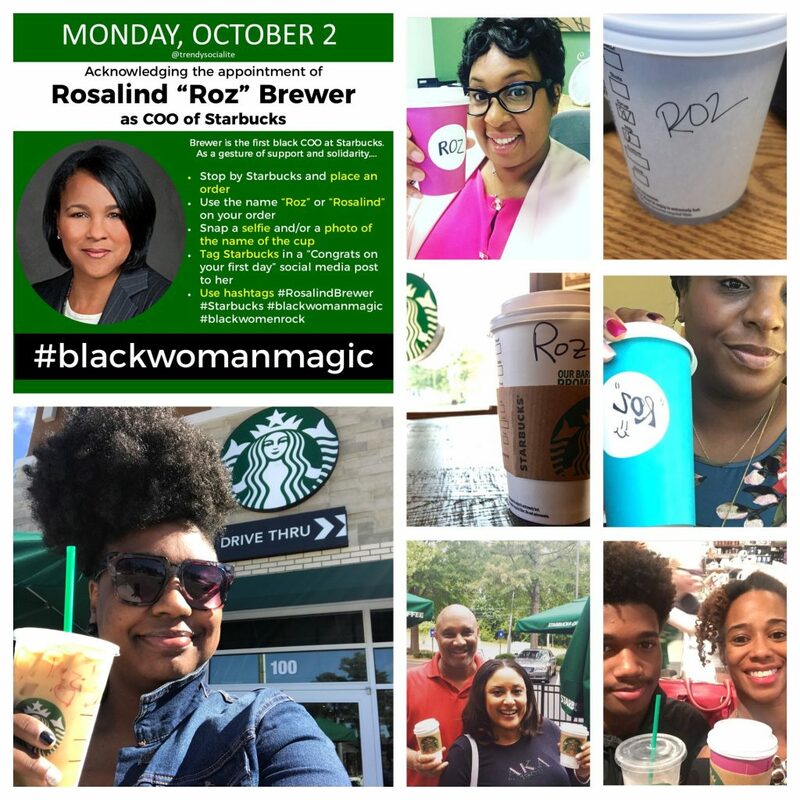 Most recently, I created a “holiday” (an intentional opportunity) to celebrate and commemorate the first day of Rosalind Brewer’s tenure as COO of Starbucks! Among many things, there are at least 3 elements that I noticed this weekend that each of us can do to help with the spread and amplification of a brand holiday. You can create similar elements, along with others, to create your own brand holiday. 1. A topic, event, or cause that has a community around it. Whatever your passion, business, or cause–there is usually a community around it. Galvanizing people interested in your topic helps with connection, participation, and word of mouth advertising. 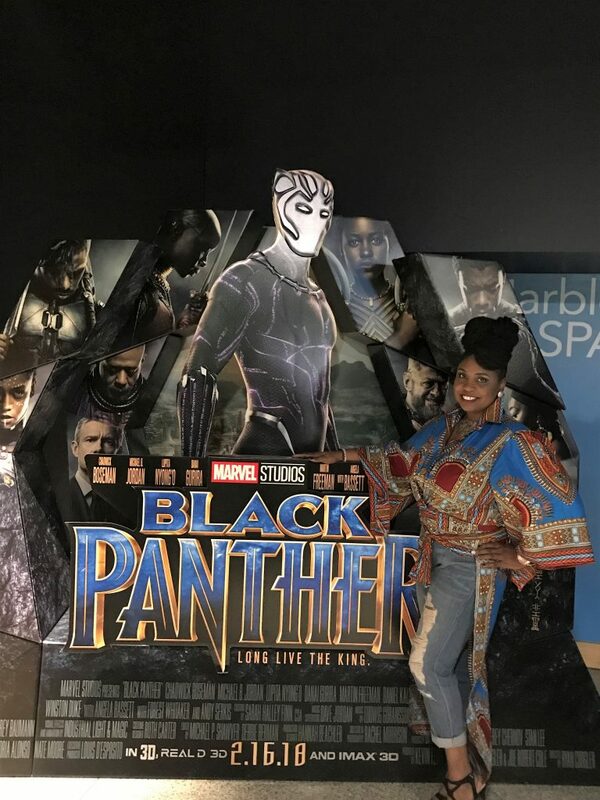 The idea of wearing all black or African attire didn’t come from Marvel or Disney–it came from Black Twitter. 2. Opportunities for people to participate. More than anything else, people want to feel like they are part of something BIG! Whether it was gathering friends to go to a showing, selecting their outfits, or creating videos to express their excitement or appreciation–successful brand holidays give people meaningful ways to participate. 3. Using social media to connect. No email list or FaceBook group to join. Just a few hashtags and a FB page. The content and conversation has stretched around the world and from the hands of a few to the hands of many. Social media is a powerful conduit for connecting your brand or cause to a community. If all of this can be created without an email list or FaceBook group, imagine what we can create with those additional tools? Creating your own brand holiday (whether it’s a launch, anniversary, customer appreciation, etc.) is the new hot event for brands and personalities to create. I teach business owners how to create their own brand holiday in my Signature Events Webinar. Be sure to check the page to register for the latest class and/or join my email list to be notified of the next class.